This gluten free lemon cake is layered with delicious lemon curd and cream cheese frosting between each layer, perfect for any special occasion. Lemon gluten free cake is my daughter’s favorite birthday cake. It just takes one bite, and you will be hooked on this moist lemony cake! If you love lemon desserts as much as we do, you will want to check out all of the gluten free lemon desserts on the blog. It may be hard to decide which to make first! When I found these cute layer pans at Target for $12.99, I couldn’t resist picking them up. 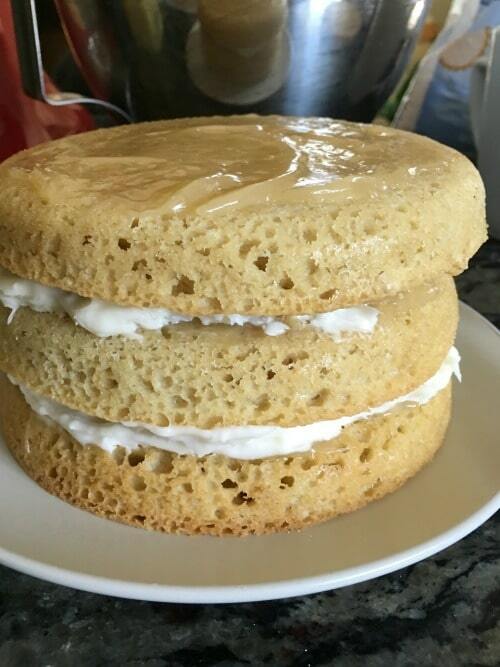 I have never made a gluten free layer cake like this and these pans made it look so easy. I have made lots of different gluten free lemon desserts…it is time to get fancy! Although the rainbow layer cake in the photo looked soooo fun, I decided to start off with an easier lemon cake recipe for my first layer cake attempt. If you look at all of the gluten free desserts I have created on this blog, NONE are fancy layer cakes. It isn’t that I don’t love layer cakes, I have just been intimidated to ever try to make one. My kids don’t get big layer cakes from me on their birthdays…and I think they have been okay with that. But now that I have discovered these pans, they may start getting layered cakes now :-). Is this gluten free cake the prettiest cake out there? Nope. But it is extra special and tastes amazing :-). How do you make a lemon cake moist from scratch? Have you baked with almond flour yet? I use it in a LOT of my gluten free baking. Not only does it keep my baked treats moist, but using almond flour in the recipe adds protein to balance out some of the sugar :-). 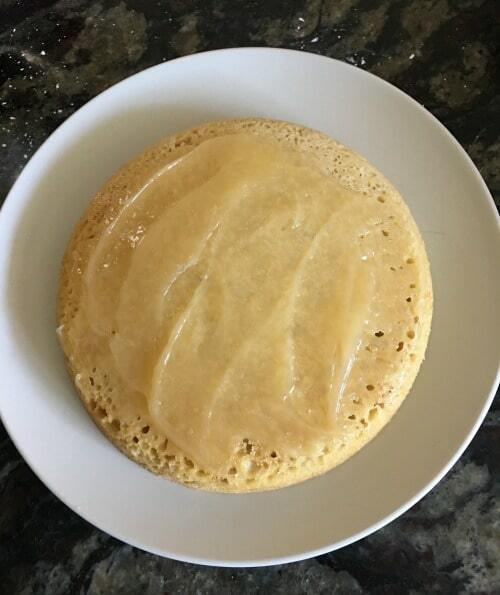 Can you make this gluten free lemon cake nut free? If you can’t have almond flour, you can definitely make this lemon cake recipe nut free. Substitute an additional 1/2 cup gluten free flour blend instead of almond flour. But what I can say is that this gluten free cake recipe is moist and delicious. How many people will this lemon cake recipe feed? 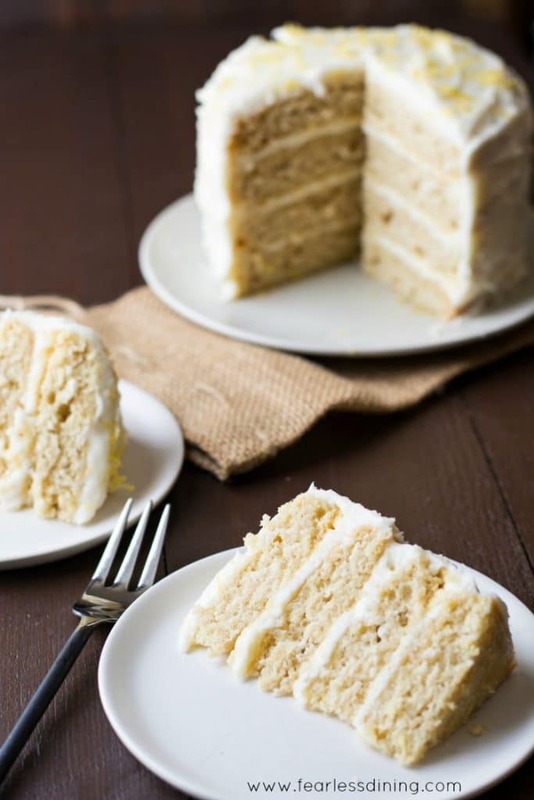 Each lemon cake layer is the same size, light and fluffy! This gluten free lemon cake recipe will feed 6 people, make 12 cupcakes, or one gluten free lemon sheet cake. Or, it can feed two hungry teenage boys :-). I don’t know how teens do it, but it is almost like they have an extra dessert stomach! These little pans make it so easy to build a layer cake. The first step is to add the dry gluten free cake ingredients to a bowl. Use a whisk to blend them thoroughly. 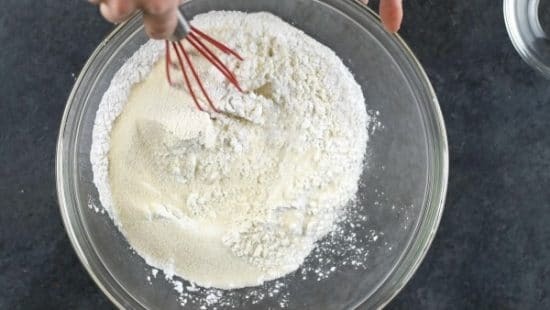 Add the wet ingredients to a bowl and whisk to blend. 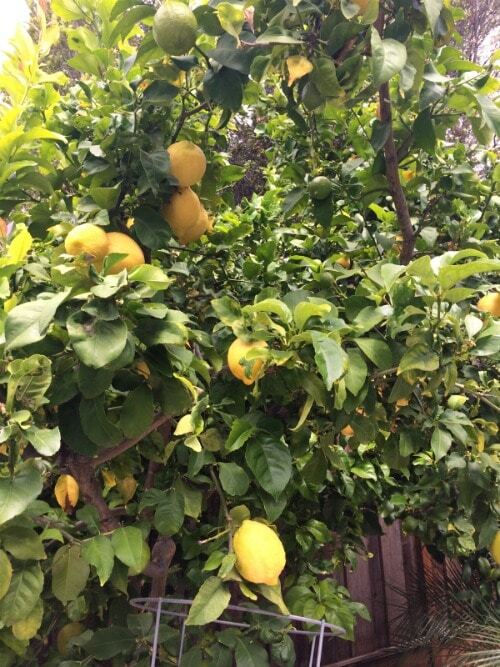 We are lucky to have this giant lemon tree so we can easily get fresh lemons most of the year. Can you use store-bought lemon juice? If you don’t have fresh lemons, you can definitely use store-bought lemon juice for this recipe. Pour the wet ingredients into the dry ingredients and mix gently. Baker’s Tip: Don’t overmix the cake batter or your cake will be denser. Bake the cake layers at 350F degrees for 20 minutes. If you are using a larger cake pan, you will need to adjust your bake time. Use the toothpick test to see if your cake is baked through. Insert a toothpick into the middle of the cake. If it comes back clean, your cake is done baking. If there are crumbs or batter on your toothpick, bake it longer. Can you use a different size baking pan for this gluten free cake recipe? I layered Trader Joe’s Lemon Curd between the layers. I spread on the lemon curd, then add frosting on top, then add another layer of cake. It is so foolproof. You can also make homemade lemon curd with this easy Lemon Curd recipe. Not a great photo, but you get the idea :-). 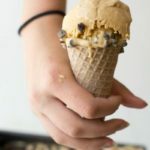 Here are all of the delicious gluten free desserts on this blog to explore. 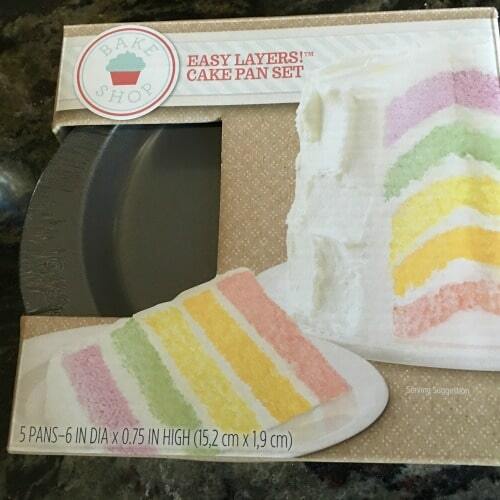 If you can’t find those mini layer cake pans at Target, these are even CHEAPER. (Who doesn’t love when that happens? Mixing bowls. My ultimate favorite bowls because their rubber bottom keeps them from sliding while you mix your batter. How to make a gluten free lemon layer cake. Spray coconut oil in several baking dishes. In a mixing bowl, add all wet ingredients and mix on low speed. 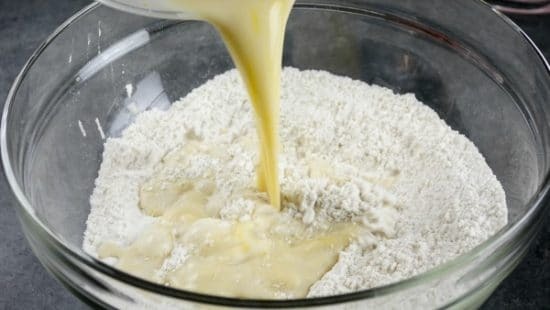 Gradually add dry ingredients and mix on low speed. Pour batter into the baking pans, so each pan is 3/4 full. Put the batter filled pans on a baking sheet and bake. Add all frosting ingredients to a mixer and mix on high speed. Remove first cake from the pan onto a plate. Spread lemon curd on the cake. Add a layer of frosting. Continue to stack until you have used all layers of cake. Spread frosting on the top and sides of the cake. Optional top with fresh lemon zest. 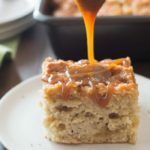 More Yummy Gluten Free Desserts to Try! 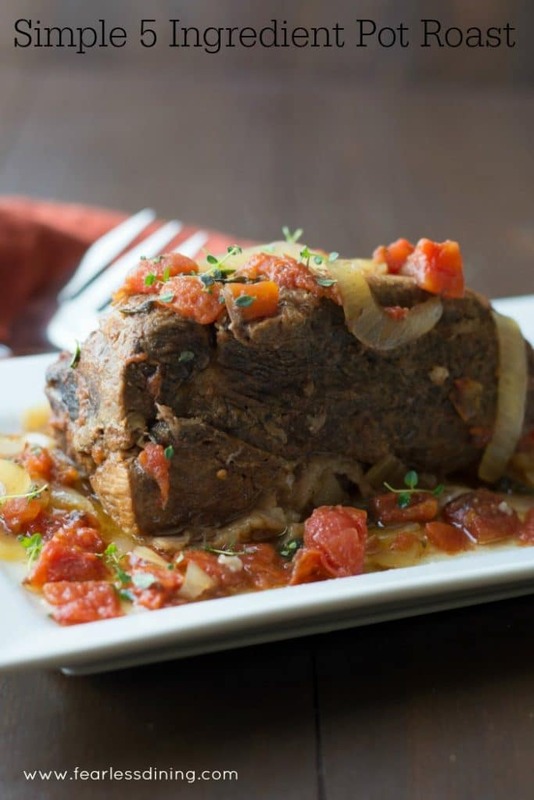 Round out the meal with this meal plan! Hi Natalie, there should be two tablespoons lemon juice added to the wet ingredients. I adjusted the directions to show this. Thank you so much and I hope you like this cake :-). I’ve just looked again and thought I was going crazy as it’s popped up there now- thanks for that! 🙂 Glad you are trying it, this is one of my favorite cakes. What substitutions would you use in place of almond flour and almond milk for those with a nut allergy? Hi Kristen, you can use flaxmilk, soymilk, or the coconut milk in the refrigerated section of the store. I haven’t made this recipe without almond flour, but I suggest upping the gluten free flour blend to 1 1/2 cups and don’t use the almond flour. You may need to add more moisture so the cake isn’t dry. Thank you. Please do come back and let me know what you used and how it turned out. I ended up using coconut milk and the Bobs Red Mill 1 to 1 flour and I also ended up using 3 eggs and it came out really good!!! Thank you! I am so glad you liked it Kristen, thank you so much!! This cake turned out perfect, and the flavor was so good!!! That is wonderful, I appreciate your coming back to let me know, you made my day! What a delicious layer cake! I made this for a GF friend’s birthday and she LOVED it! 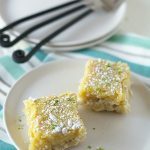 I am sold on pretty much anything lemon but add that it is a delicious gluten free recipe and it is gold!! We love anything lemon here, it helps us use up the lemons in our tree. If we don’t pick them often, branches break because they get so heavy! Game changer. This cake is PERFECT. I love baking cakes but never tried to make one gluten free. The daughter of a good friend of mine is gluten sensitive, and her b’day is coming up, and I know she loves lemon desserts. This is going to be perfect Sandi! 🙂 It looks so moist and delicious! Thank you so much for sharing! That is so sweet of you to make a cake for her. Just watch the cross-contamination in your kitchen so you don’t inadvertently gluten her. I made this cake yesterday. I only had 2, 8″ round pans and ended up with 2, much thinner layers (I had to adjust cooking time). Next time I would double the batter. The cake batter produced a very nice and moist cake. 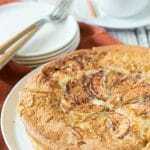 My husband is not GF and dislikes that “rice-flour” taste but really enjoyed this cake! I made my own lemon curd and then topped it off with lemon, cream cheese icing and raspberries. It was a major hit with my family. I would definitely make this again! Thank you for the recipe!! I need to make this to feed 75 people and want to do a 3 layer cake, each layer a little smaller than the next. I have been reading a lot of lemon GF recipes, but yours seems to be the best. What are your suggestions for me? Please and thank you for any help you can give me!! Hi Greta, I am just seeing your note. I would watch to make sure your cake doesn’t get too heavy with thick layers. The cake I made is small with thinner layers. Lemon in baking always brings back some early and fond memories of when I started making baked goodies, eons ago. I love baking with almond flour too. The cake and its flavors are fantastic. Is there a way to make it without sugar by substituting ground dates or something without that sugar. Does stevia work? What would be the ratio. My husband has a weight problem and we avoid sugar. This cake looks wonderful and I’d like to find a way to make it. How would you store this cake overnight? I am trying to make it today for tomorrow. Hi Natalia, I would store the cake in the refrigerator overnight. Good luck :-). These cake looks and sounds delicious! Yum! Thank you so much Jeanette :-). I made this cake yesterday for my son’s birthday and everyone LCVED it!!! It was so moist and had great flavor! I wanted to make enough for a crowd, so I adjusted your ingredients to 8 and the batter fit perfectly into 2 8-inch round cake pans. I baked for a little over 20 minutes. I didn’t have raw sugar so used cane and it worked out great. Thanks so much for the fantastic recipe. We hosted a dinner for 10 and everyone said I need to make this again! Good stuff!!! I am so glad you enjoyed this recipe Christie. Can you let us know what flour blend you used? Another reader used a very starch based flour and it didn’t work out as well. Maybe she can try what you used? Hi Sandi, I’m going to try this cake soon (hopefully this weekend, we’ll see). You say you added lots of almond flour for added protein, is it essential otherwise? I just usually bring my baking in to work for my doctors, but one is allergic to almonds (well, all nuts) so try to steer clear if I’m bringing it in! 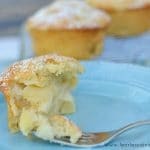 I adore lemon desserts, looks just lovely! Yum I love lemon anything! I love citrus flavor in baking! Wow! This cake looks so moist and since I love citrus-flavored cakes, this is sure to please my palate! Wow, does this cake look MOIST! I have a GF friend coming to visit next month, so I’ve been trying to collect some GF recipes to make while she’s here. This is a must try for me. I made my first GF coconut cake, but in a small square pan. I love the layers of yours and especially the extra lemon curd you added! I think this is a perfect cake! Yes, this is the prettiest lemon layer cake ever! Sounds wonderful, a great summer dessert. I recently thought about making a layer cake. It’s been so many years since I made one! I didn’t even know I don’t have cake pans! I’m going to go find these pans. I want to make a cute small cake for Hubs and I. Yours is adorable! Thanks. These pans are definitely fun to use. I hear you Petro….cakes are intimidating. Thank you so much Nettie. Your cake looks luscious and sounds amazing with the lemon curd filling. I’d love a piece right now…really!! You cake looks awesome! To be honest, I’m not a big fan of cake generally, they are too fussy! But yours looks so yummy, and I love the fact that there’s lots of almond flour to make it tastier. I might actually make a cake like this! Thanks so much! Thank you Debi…I am a huge fan of almond flour lately for the extra protein boost. I bought these awhile back too. They were so cute I could not resist. I love this cake, lemon layer cake is the best kind of cake. What did you make in yours Kim? I’ve never attempted a layer cake! Truth be told, I don’t often attempt cakes at all. I find baking intimidating. I think I need to just jump in and try it. I never even thought of looking for layer cake pans. But I love lemon desserts and your cake looks absolutely scrumptious! I am so with you Michelle….these pans made all of the difference for me. I didn’t see a pan size in the recipe. Could you please let me know, as I love anything lemon! Yes, I am gluten free. The cake looks fantastic!! !